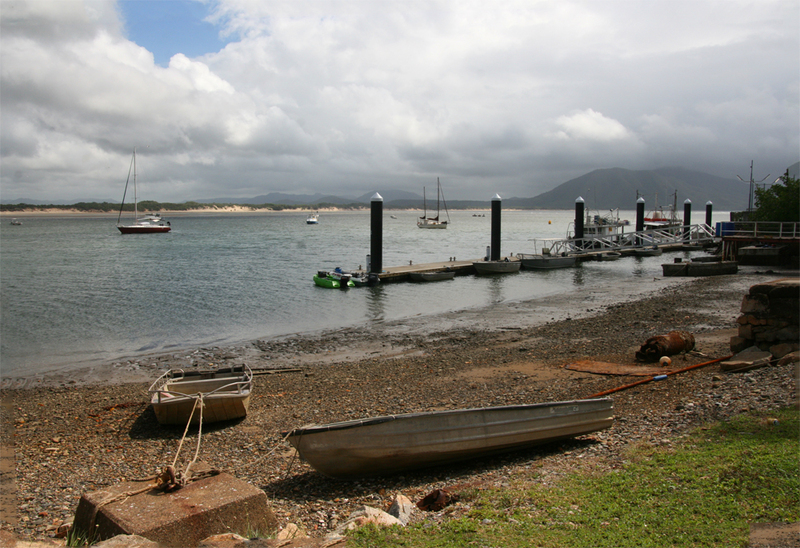 Cooktown is a charming historic little town situated between the Endeavour River and the Coral Sea in Far North Queensland (FNQ). This region is famous for it's discovery by Capt. James Cook back in 1770, when his ship the endeavour sustained damage on the great barrier reef and he and the crew had to fine a safe place for repairs. Cook's 48 day stay in the harbour was to be his longest onshore stay for his entire 3 year voyage. 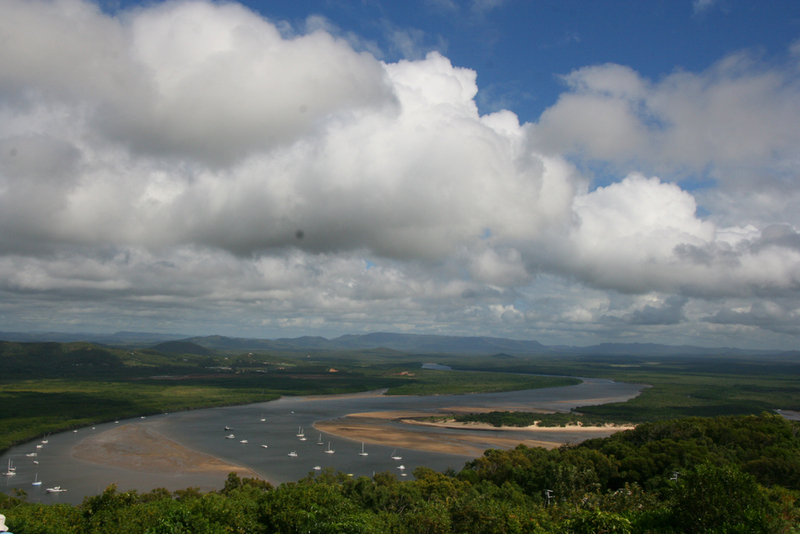 Cooktown is also famous for it's pristine environment and the amazing Aboriginal culture. 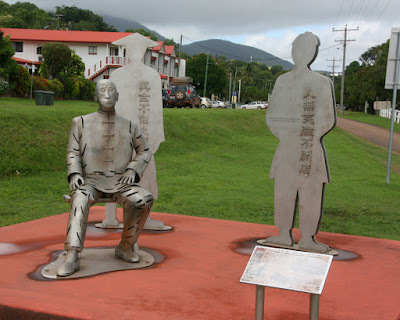 This is my second time visiting Cooktown and I was excited but felt strange driving here. The last time I was here was about five years ago just after my father had died who I had cared for for two and a half years. My time here was spent all by myself and I would say it was my time of mourning my loss. It was definitely a time I needed and was an extremely healing time. So for me I feel a real connection with the area and know I needed to return. 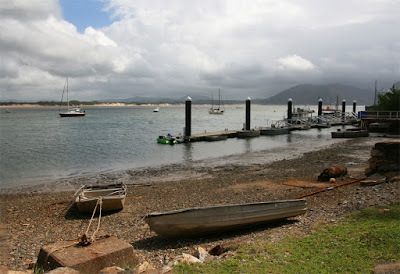 We are staying at the Cooktown Caravan Park for three nights. It is a nice little bushland park with really lovely owners. Cooktown itself is quite small but has loads of history, such as the Post Office being established in 1887 along with the Cooktown RSL which was built in 1885. 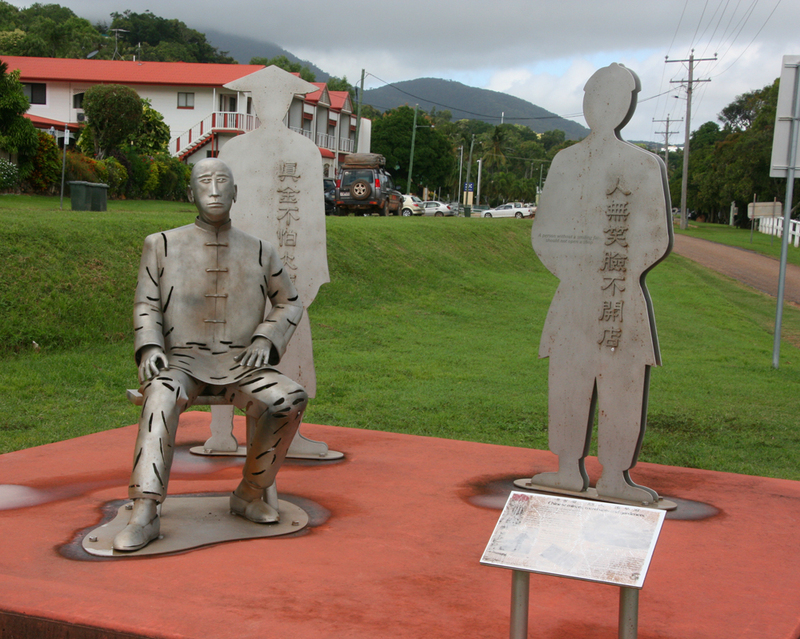 As with most of Australia Cooktown also has a Chinese History. I loved the words inscribed on the figure on the right. "A person without a smiling face should not open a shop"
Words that I think is very relevant even today!! Weather-wise yesterday was a very interesting day. The day started out quite sunny and warm, so we decided to start out with a drive up to Grassy Hill Lookout and Lighthouse. 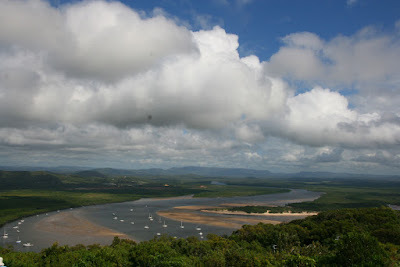 This location is such a great spot to view Cooktown and the surrounding area. But as we looked south we could see a huge series of black clouds role towards us. It looked amazing and I was happy to get some photos - and then all of a sudden it hit with some huge rain drops. 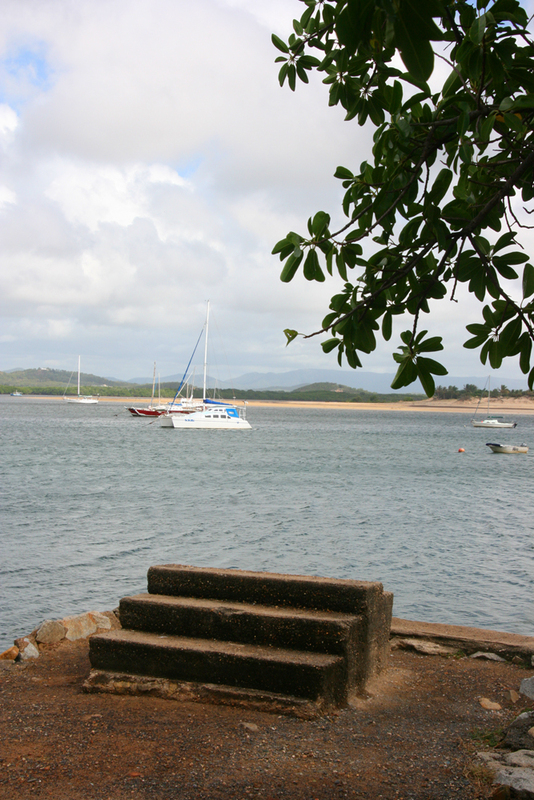 The rest of the day was pretty overcast and very windy, but still Cooktown is a great place to spend some time. Today is a lazy day getting ready to head south again tomorrow (not very far though). Cooktown is also known for it's win. Ask anyone who has lived here or even just visited and they will tell you it's nearly always windy in Cooktown and believe me it hasn't let us down. know where appear quite odd .